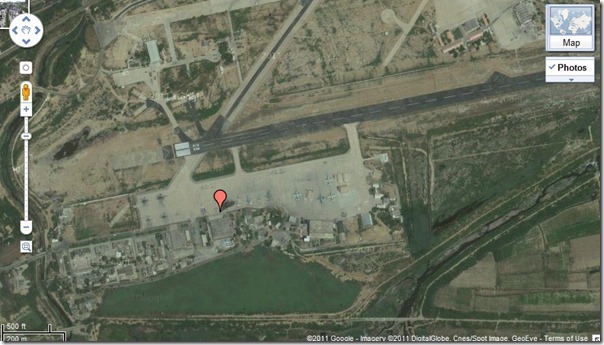 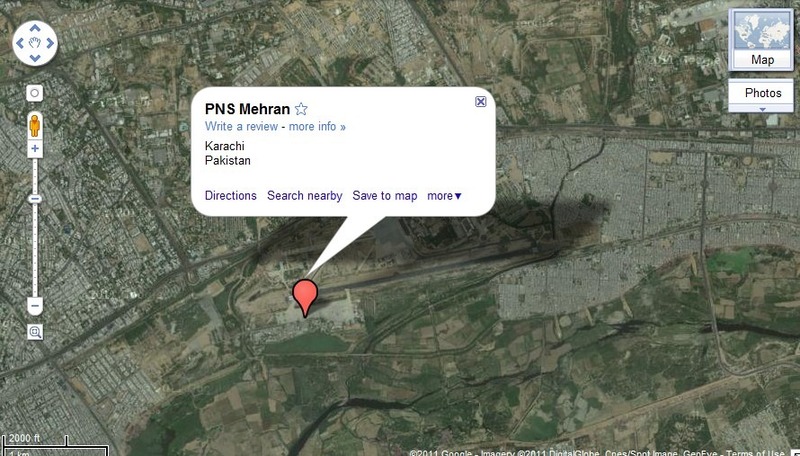 To view more images, and detailed geographical information of the Navy Base, PNS Mehran, that is being attacked by around or over a dozen highly armed gunmen, click this link. 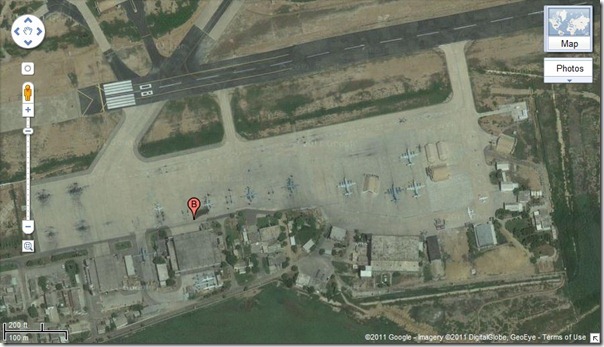 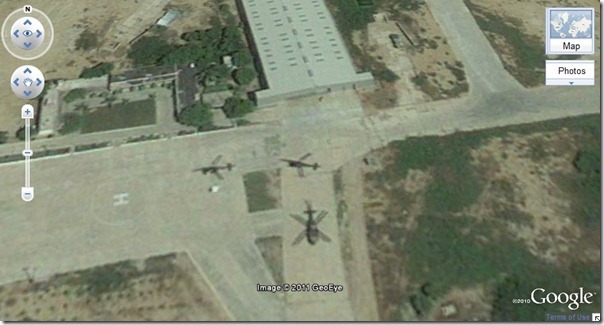 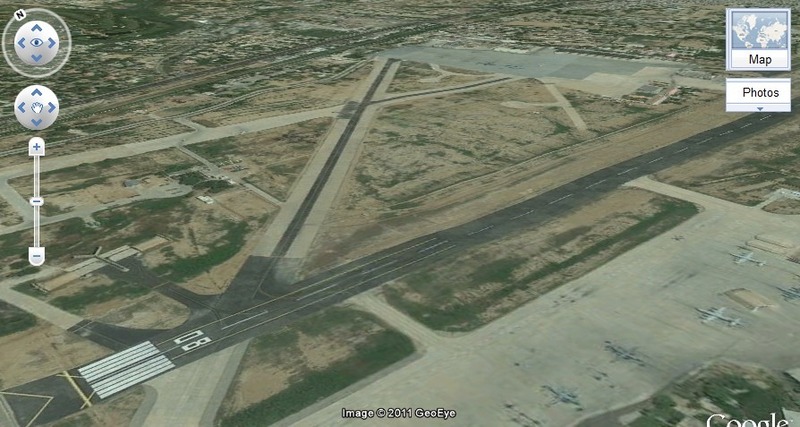 You will witness that Google has updated satellite imagery of entire base, assets, compounds, buildings, its surroundings, fields and Chakora Nala around the base walls. 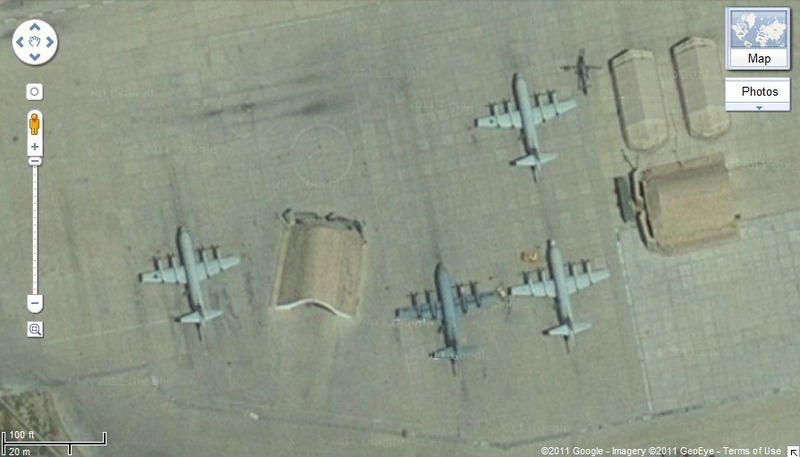 By going through the entire base via Google Maps, and navigating through the images available in there, one may not deny the fact that this service might have served terrorists for laying out their attack plan. Due level of details mentioned in maps, it is likely that terrorists had studied these (Google) maps so well before their attack. 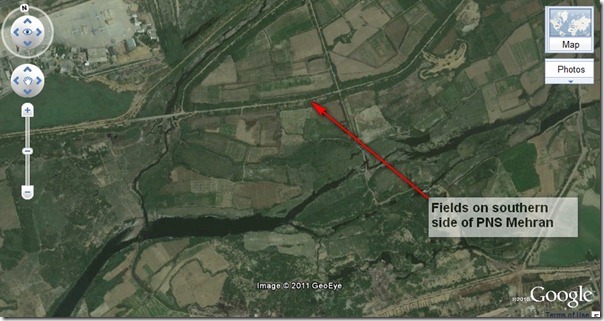 Like other nations, including India, at this point of time Pakistan government should direct Google to stop taking satellite images of sensitive locations through out the country. Government of Pakistan, through Ministry of IT, should send a detailed list of deployments where Google should be asked to blur the images and/or not take close-up images. Now I am not saying that banning Google Maps for these sensitive locations will altogether stop terrorist attacks, but it will play a role in securing our installations, to some extent at least."